We played against WFC an 1 round FunWar, so neither one really winned it. hehe. Here we see classic 2 new teamplayers versus 2 almost 1 year together teamplayers.. 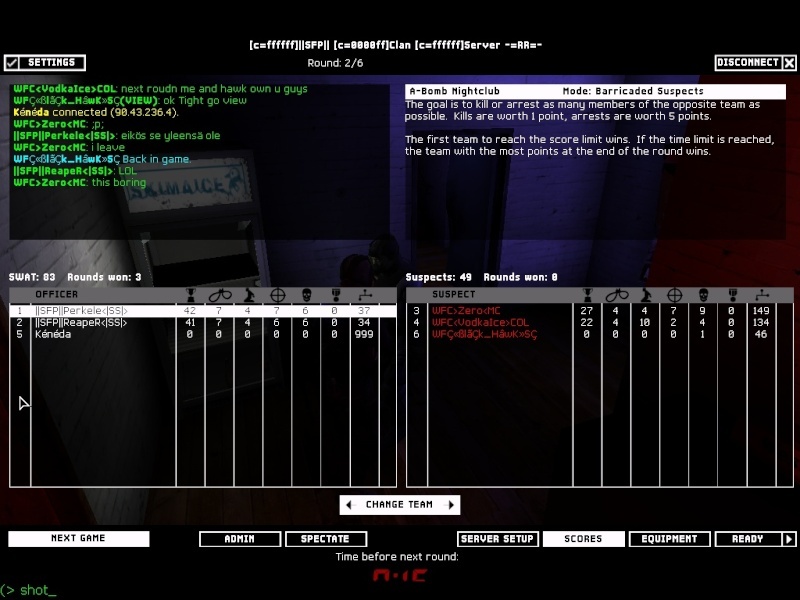 So U know the result before the T.O.C says: "Good job entry team"
Good game tho, we respawned 1 time, they tried that 2 times, with stingers.. That was only rule breaks in that game. But still, victory is a victory. They took easy win out of us when we had new clan members in FW.